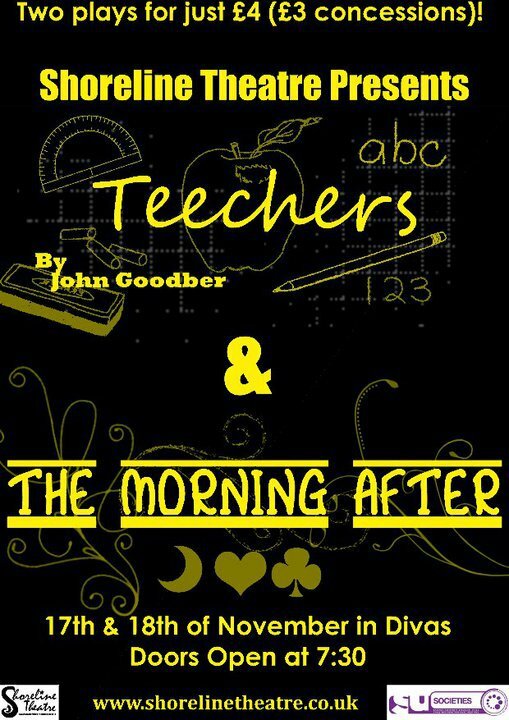 The first of a night of two one-act plays, John Goodber’s Teechers is comedy about a naive teacher trying to encourage kids into drama. The Morning After is a student-written piece about a world we were just meeting. Love, marriage, babies… everything we go to university to delay.